Chickens are not native to Latin America. They're an import from Europe though there is a debate about the possibility of chickens coming to South American from Polynesia. Nowadays, Latin America is quite well known for certain popular chicken dishes, such as arroz con pollo and Peruvian-style Pollo a la Brasa. Peruvian roasted chicken is popular for a reason. It's popular due to the unique combination of spices used that gives the meat an extra bit of flavor. The dish has an interesting background. It was made famous by a couple of Swiss expats in the 1950s at their restaurant La Granja Azul. They designed and patented the mechanical spit that roasts multiple chickens simultaneously (el rotombo). The restaurant is still popular after decades. That's how you know they've done it right. The word in Spanish for the hen is gallina, and gallo is the word for a rooster. However, when you are speaking of chicken meat (as in to eat), you typically use the word pollo. But a few recipes still use the words gallina or gallo such as the dish, sancocho de gallina, which is a hen soup. It used to be that people distinguished between the flavors and cooking uses of hens versus roosters. That's just the tip of the iceberg, however. Continue to discover a list of recipes for more interesting South American ways to prepare and enjoy chicken. This delicious recipe calls for chicken breast. The breast is grilled, but not before it's first brined in salt water. The chicken is then marinated in lime juice and seasoned with cumin, salt, and pepper. Seco de Pollo isn't a complicated recipe. It's stewed chicken mixed with peas, carrots, and potatoes, cooked together in a delicious cilantro sauce. This Peruvian specialty can be modified to replace the chicken with beef (Seco de Res), lamb (Seco de Cordero) and duck (Seco de Pato). Arroz con pollo is popular in Spain, Cuba, Puerto Rico, and throughout Latin America. Various versions of this dish are seasoned with turmeric (a Latin American substitute for saffron), which gives the rice a yellow color. This popular Peruvian-style dish, however, is green (verde), and gets its color from lots of cilantro. The other difference in this dish is that the broth is flavored with beer. Here's a dish that came to South America from Spain. Escabeche is a dish in which meat and vegetables are cooked in an acidic vinegar sauce. This recipe for fried rice with okra (Arroz Frito com Quiabo) requires that fresh okra is sautéed whole. You can experiment with it by adding various vegetables, chicken, or even sausage. The classic Aji de Gallina gets its yellow color and mild spiciness from aji amarillo peppers. Its delicious flavor comes from a special and unique cream sauce that's made with ground walnuts. This simple dish is low-maintenance. Just put the ingredients into a slow cooker and cook for 5 1/2 to 6 1/2 hours. Put the chicken over warm Mexican-style rice and add a salad. This recipe is a variation of the classic Latin American arroz con pollo (chicken and rice). It's most popular in Nicaragua, where it's most often served with toast. This Peruvian-style rotisserie chicken has a unique seasoning, and a delicious side of yellow potatoes accompanies it. The chicken (giblets removed) is soaked in salt water for 12 hours. There's little doubt that's what enhances the flavor to another level. 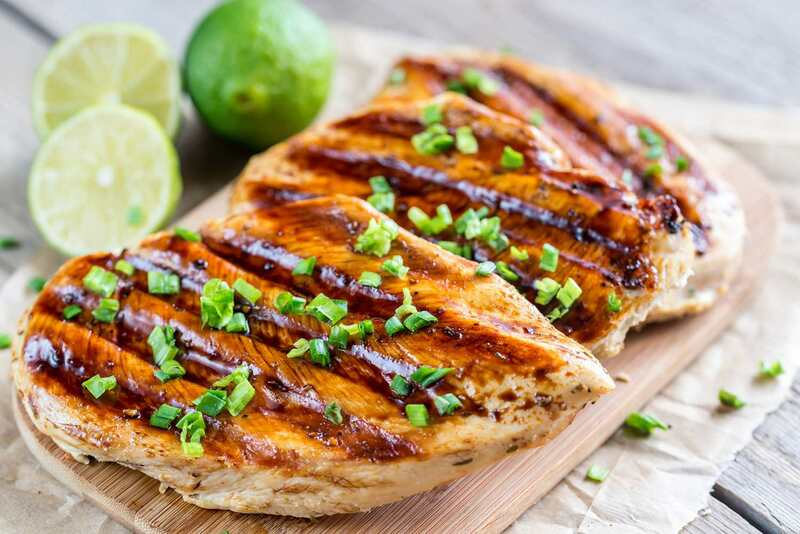 Chimichurri sauce is mixed with cream cheese and seasoned chicken breasts. The mix is added inside a puff pastry shell, and then, it's all baked. The result is unparalleled deliciousness. This recipe is a variation of the Pollo a la Brasa recipe that originated in Lima in the 1950s by two Swiss expatriates, at their restaurant La Granja Azul. 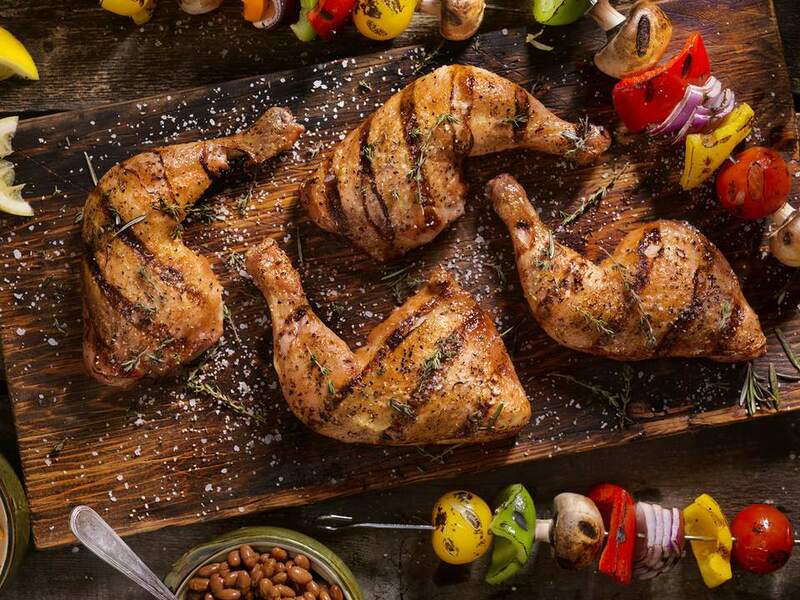 This recipe substitutes rotisserie chicken with boneless chicken breasts. The guava glazed chicken is a relative of sweet and sour chicken. Tropical guava has a sweet and spicy flavor. In this case, it replaces the pineapple used in sweet and sour chicken. Ginger and passionfruit juice are the main ingredients for the sauce that sets this recipe apart from the other recipes in this round-up. It'll add an incredible sweet-savory flavor to chicken breasts. The Pollo Saltado is made using onion, red bell pepper, and tomato. Quite a few ingredients are added to this Peruvian style stir-fry it to give it a little bit of spice. Discover how it's done. Traditional Andean Quinoa and amaranth both fill this dish with protein. In this recipe, amaranth becomes the breading for sautéed chicken. It's fun to toast quinoa and amaranth in a skillet because they'll pop just like popcorn. This quick and simple fix is a healthier alternative to a bowl of pasta with sauce. It can be prepared to be a spread for sautéd vegetables. And, you can even add cooked and drained Italian sausage, ground beef, or turkey if you'd like. Causa is an intriguing mix of the abundant flavors that are found in the region of Peru. It's traditionally composed of mashed yellow potatoes, ground yellow ají pepper, and lemon juice. This recipe takes the dish to a new level. This delicious recipe begins with dough stuffed with a traditional chicken filling, caramelized onions, olives, and pieces of hard-cooked egg. But, you can be as creative as you'd like with the stuffing. Coxinha is a famous Brazilian street food snack. It's a dough shaped into a drumstick. The interior is filled with a creamy chicken salad. Then, it's all battered and deep-fried.